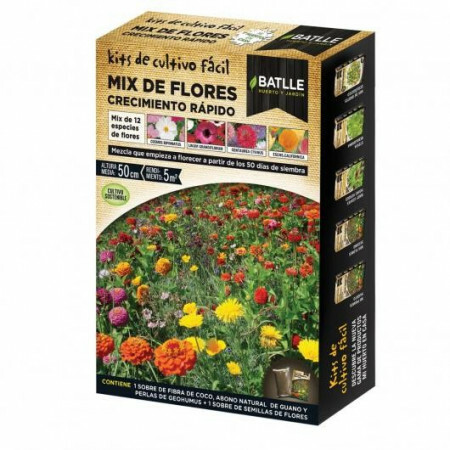 The pack contains: 1 out of coir, natural fertilizer guano and Geohumus pearls and 1 packet of flower seeds. They start you bloom 50 days. Flowering early and continuing throughout the summer. You get multicolored flowers.